Hello my friends, it is finally Friday!! I don't know if I should be happy or not , LOL. DH and I have a lot of yard work to do, I've already done some of the work, but still a lot to be done. DH has 5 days off , oh my!! 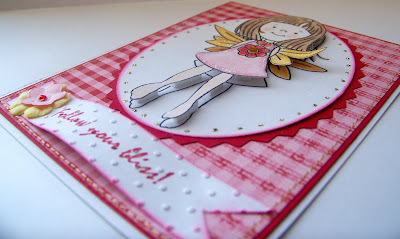 Today our challenge at Stamp Something Blog is Paper Piecing!! I love to paper pieced, just cutting and not coloring. 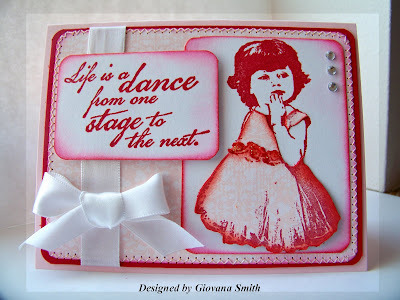 For my card I used one of the new releases sets from smARTworks, this set is called "Dance" and has beautiful stamps. I stamped the cute little girl in a piece of White Card stock using Real Red Ink, I also stamped the image "twice" in SU Bella Rose DP. I cut out the whole dress from one of the DP and then from the other one I cut only from the roses down. I glued the first dress on the girl and then I glued the roses part and added some Dimensionals on the bottom, that creates a really cool 3D effect. The sentiment was stamped in Real Red as well. I used Burgundy and Red Craft for sponging. I applied some Glitter on the dress. Card Stock: Pink Pirouette, Real Red, White. Paper: SU Bella Rose DP. Ink: Real Red, Burgundy, Red. Accessories: Sponges, Corner punch, Mini glue dots, SU Dimensionals. Sewing machine, thread. I hope you like it and play along the challenge with us. Head over to Stamp Something and check out the DT creations!! Hello my friends and happy Wednesday. I have a late middle week card, LOL. I tried to stamp earlier, but I had a billion things to do, finally I sat down this afternoon when DD was napping and started creating. 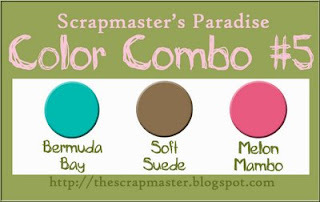 I used 2 of the new SU In Colors: Soft Suede and Dusty Durango, pretty pretty colors!! 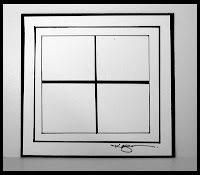 My sketch comes from one of my favorite blogs 2 Sketches 4 You . Since I saw the sketch last Monday I knew I had to create this card, but I was waiting for my Card stock. Finally CS arrived and I didn't have time, life is not always fair, uh? If you have any questions , let me know. Card Stock: White, Soft Suede, Dusty Durango. Accessories: Sewing machine, thread, Cuttlebug, Cricut, Scissors, Sponges, Mini Glue dots. Hello my friends. How is your day going? I hope great. Today I have a very girly card. Since the first time I saw this set I knew I wanted to work with it. This set is one of the last releases from smARTworks, designed by Dina Kowal : "Free". My card base is Real Red, I add some White and Pink Pirouette CS ( the pink one was dry embossed using Cuttlebug) and stitched together. I cut out a shape onto my White CS, and sponged the borders with Red and Dark Pink Ink. 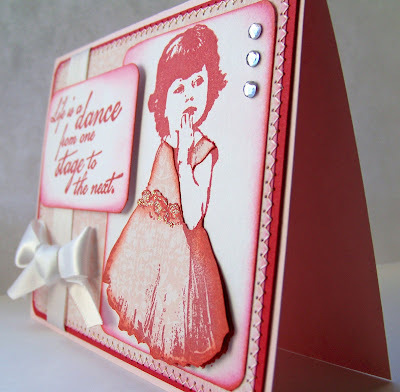 I stamped the ballerina and sentiment using my stamp-a-ma-jig and Real Red Ink. I added some Red Ribbon and Prima flowers. I think turned out really pretty. Card Stock: Real red, White, Pink Pirouette. Accessories: Sewing machine, thread, Mini glue dots, Cuttlebug, Embossing folder,stamp-a-ma-jig, sponges. Hello my friends! I hope you are having a great. Today I was a bit sad. Why?? Because today it is Peru's Independence Day and my whole family were planning to get together and have a fun time. This morning I called my dad and we talked for a long time, then I called my sister and I enjoyed talking with her little one (22 months old girl) who I have met only by pictures. DD talked to her cousins, language problems, but they had fun talking about cartoons and Barnie, LOL. I haven't called my brother yet who he is a busy man and almost never find him home. My youngest sister who lives in NC is a busy lady too and her phone was busy, LOL. Anyway, I hope they had a lot of fun together and enjoyed the good Peruvian food!! HMM I want to eat "Picarones" and "Carapulcra" yummy!!! 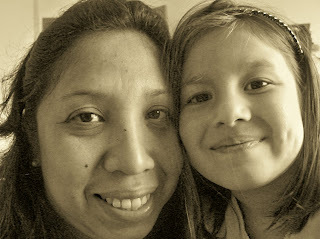 After a while, I danced and sang with my daughter VBS songs, super fun!! that put me in a good mood and decided to stamp. 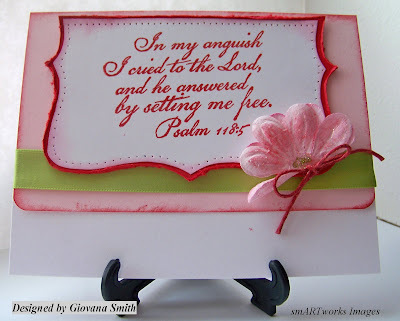 For my card I used one of the new releases from smARTworks: Psalm 118:5. I also used the Oz-some sketch from Heather Scott. Marianne, one of my followers, sent me some pretty flowers, so I used one of the pink ones, folded in half, applied some Diamond and Gold Glitter. Don't forget today is the last day of the Super Sale @ smARTworks. 40% OFF!! Sale ends at midnight. Card Stock: White, Pink Pirouette, Real Red. 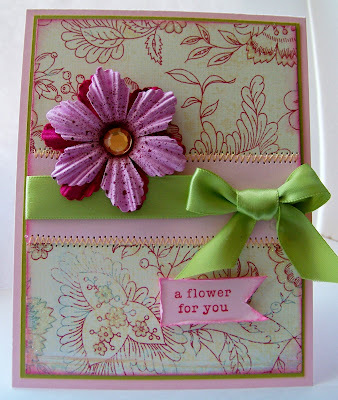 Embellishments: Green Lime Ribbon (Offray), Prima flower. Accessories: Mini glue dots, SU Dimensionals, Glitter, sponges. Happy Monday my friends. I hope you are having a great day. The weather here is really hot and DD the only thing she wants to do is being in the pool. So, that's what we were doing all weekend, I have to confess I enjoy that too. In addition of that DD is having really bad allergies, poor girl, her eyes get really irritated and she cries and I feel the pain too, doctor's app in on Wednesday, so please pray she can handle this until Wednesday. Anyway, today I finally had some stamping time and I really wanted to try the "Marble Background", a technique taught at Stamp TV. Few months ago I received some Gina K. Images from the Wish Rak group in SCS, so I used them up for this technique. The colors I used for this Marble background card are: Basic Brown and Pretty in Pink. Then I stick it to a chipboard and cut it out, sponged the borders. I colored the image with Prismacolor Pencils and a Blender Pencils (not OMS) I added a bow and a sentiment. 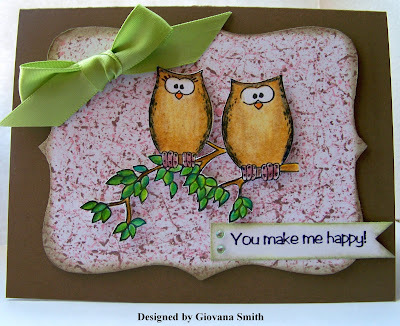 Stamps: Owls Always Loves You by Gina K. Designs. Accessories: Marbles, Plastic container, Sand block, Dimensionals, Prismacolor Pencils. Mini glue dots. I also played CAS Challenge on SCS. 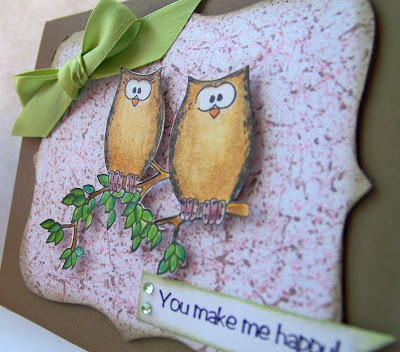 I used another cute Owl from Gina K. Designs. I made different BGs and I used a one with Bashful Blue and Riding Hood Red. The image was colored with Prismacolor Pencils and the borders were sponged with Gold Craft and Marigold Ink. I added some Green Lime Ribbon and some Liquid Pearls. Card Stock: Tangerine Tango, Kiwi Kiss, White. Ink: Black, Bashful Blue and Riding Hood Red. Accessories: Marbles, container, SU Dimensionals. Stamp Something "Bugs, Butterflies and things with wings"
Happy Friday my friends. time for another fun challenge at Stamp Something. This time our challenge is create a project using Bugs, butterflies and things with wings!! Ideas are endless!! This week our challenge is sponsored by Fred, She Said, an online store with digital images, you should check it out. For my card I used one of the girls from Emma Collection. Isn't she sweet?? I colored the image using Prismacolor Pencils and OMS. I also added some Stickles on her wings and dress. I put a little gold rhinestone on the flower. 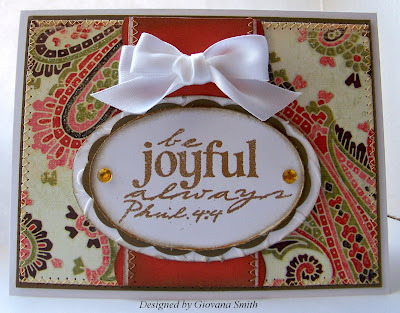 The sentiment is from smARTworks "Bliss Set"
Card Stock: White, Real Red. 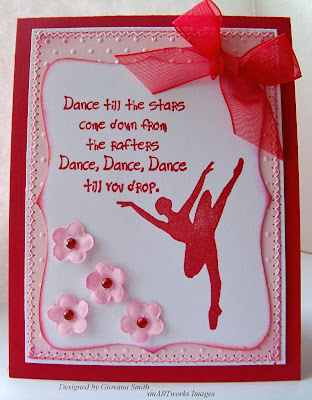 Embellishments: Rhinestones (Kaiser Crafts), Prima flowers, Stickles. Accessories: Coluzzle, Zig zag scissors (Provo Craft), Cutlebug, embossing folder, 3D-foam (EK-Success),sponges, Mini glue dots. 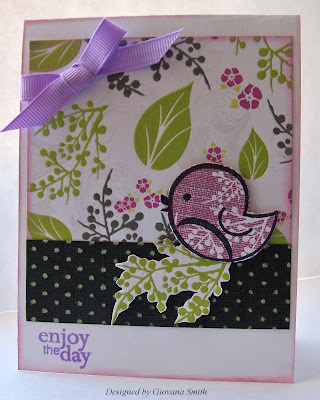 Now head over to Stamp Something Challenge Blog and enjoy the other DT creations. Hope you can play along with us and also get the chance to win some yummy prize!! Hello my friends and Happy Thursday. Is the weather crazy where you are at? Here, it is super windy!! kinda scary to be honest. I spent part of my day coloring with DD, animals, princesses, flowers, you name it, she has them all, LOL. Of course I wanted to make cards , but this time coloring together was so much fun, she tried to copy my coloring techniques!! 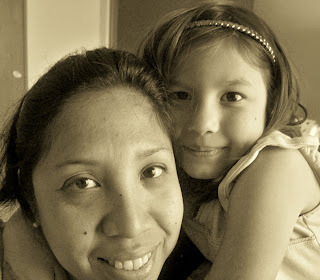 she is doing great, of course she is only 5. She always says her daddy doesn't know how to color, that makes me laugh any time I hear that. Anyway, today I made a card using the sketch from Card Patterns. I started my card with a piece of Kraft (SU), then I cut a piece of Tan Parchment (The Paper Company), stitched and distressed around. I used scraps of Real Red, Kiwi Kiss and Naturals (all SU), this is a good way to use all your little pieces. 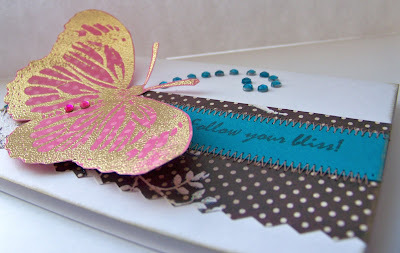 The stamp is from Verve, the butterfly punch is from MS and the ribbon is from The Paper Studio. Card Stock: Kraft, Real Red, Kiwi Kiss, White (SU), Tan Parchment (The Paper Company). 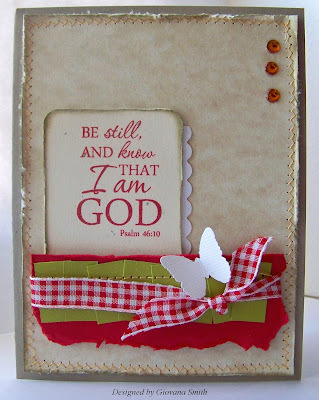 Stamps: Psalm 46:10 Verve Stamps. Ink: Gold (Sponging), Real Red. 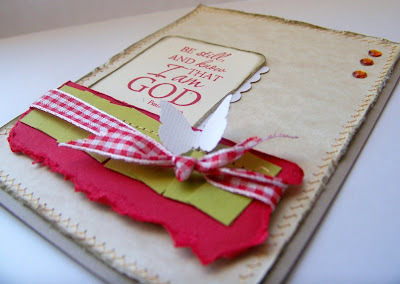 Embellishments: Gingham Red (The Paper Studio), Rhinestones (Making Memories), MS Butterfly. Accessories: Sewing machine, thread, 3D-foam (EK-Success), Mini glue dots, Diamond Glaze, sponges. Hello my friends, I hope you are having a great day. I am pretty much enjoying summer time. Today we are hitting 102 F!! It is hot here. This morning I decided to mow the lawn and I ended up like a tomato, LOL. During my mowing adventure (the pushing/walking mower) I saw something bouncing around, I got curious and I found out it was a mouse, yikes!!! I am super scared of mice, yeap, may sound funny, but I don't like those critters. I let him ran away and I finished my job. Now, my back yard looks much better, :) :) We have weeds to pull, but any other day, too hot to work outside. Anyway, today I have a shiny card for you. I played the sketch from 2 Sketches 4 You. I decided to go Monochromatic, I think my card turned out really pretty. 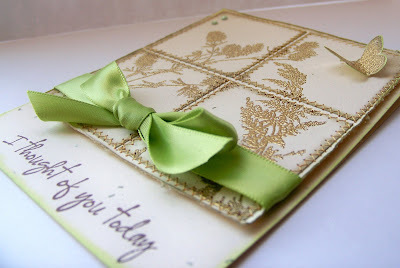 I used Natural CS (SU) and stamped the images using White Craft Ink and then applied Gold Embossing powder. After that I cut it in 4 squares and sewed them onto another piece of Naturals CS. I attached some Green Lime Ribbon. The sentiment was stamped in Basic Brown Ink. Accessories: Sewing machine, Sponges. 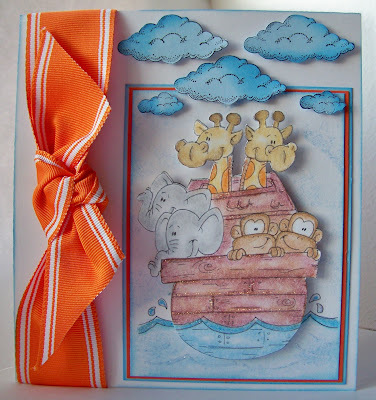 stamp-a-ma-jig, embossing gun, Mini glue dots, SU Dimensionals. In other news, my sister & brother-in-law have opened a brand new Buy/Sell Store. If you would like to sell something, please don't hesitate to put your stuff there. Membership is free and rigth now it is an offer going on. The page is cbayauction.com. It would be really appreciated if you spread the word to others. Also, remember the Big Sale at smARTworks continues until the 28th, 40% off!!! you can't miss that. Labels: 2S4U, family, smARTworks stamps. Hello my friends, I am back!! I stamped today and that feels great. The only problem I had is that when I tried to make my post my computer decided not to cooperate, argghhh, so I decided to go and cook dinner and try it later. Anyway, I stamped a quick and clean card today. 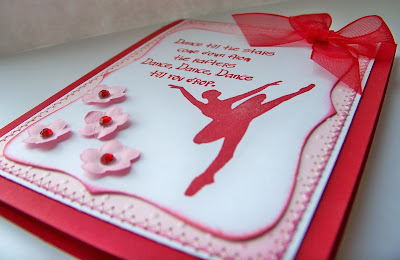 I started my card with Pink Pirouette CS, a piece of Real Red and White. I stamped the tulip frame on White CS using Real Red ink. The sentiment was stamped in Mellow Moss. I used my stamp-a-ma-jig to position the sentiment in the right place. After that, I sponged the borders and positioned onto the Red CS and stitched together. I stamped the tulip in a scrap piece of paper, colored , cut it out and positioned it on the main image. 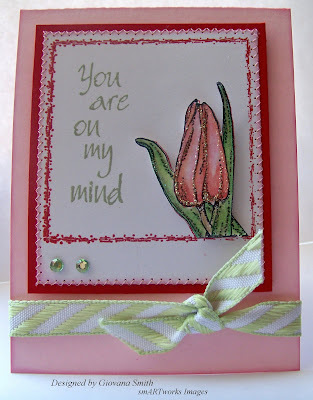 The stamps I used are from smARTworks Tulip Square Set, ON SALE right now!! 40% off! (I just checked the sold out list and this set is not there :) awesome!! If you would like to purchase this set based on my creation, don't forget to mention my name to Susan, thanks!! Ink: Plum, Real Red, Mellow Moss, Stazon Black. 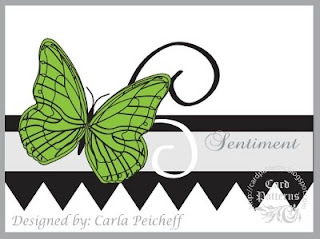 Embellishments: SU Ribbon, Green Rhinestones (Kaiser Crafts), Stickles. Accessories: Sewing machine, Pink thread, Mini glue dots, SU Dimensionals, Prismacolor Pencils, OMS, stamp-a-ma-jig. Can you believe I didn't have time to make a card for my wonderful husband?? I will make one in a little while. My normal life starts tomorrow, LOL. No more running around, just quiet time at home. I love my husband very much and I consider myself a very blessed person. 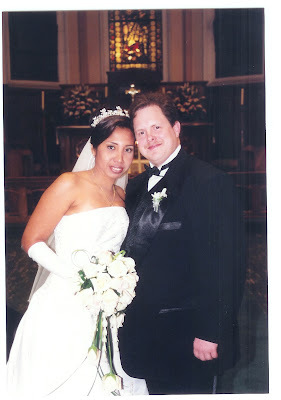 Here is a picture of us on our Wedding Day. This is the perfect time to get your favorite sets from smARTworks. From July 18 - 28 all the stamps are 40% OFF!!! But first, you should check the list of Sold Out sets "HERE". Remember, any time you purchase a smARTwork rubbah you get smART Bucks points, and this time you can get more stamps and more smart bucks points!!! If you purchase any stamp based on my creations, please don't forget to mention my name to Susan, so I can get some smart Bucks too!!! I hope you can play along with us. Don't forget to stop at Stamp Something Blog and enjoy the DT creations, also for the chance to win yummy prizes!! 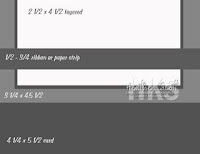 Labels: Dustin Pike Digi Images., Stamp Something Challenge. Hello my friends, I hope you are having a great time. I'm just popping here to let you know I've been sick, horrible headaches and fever everyday, today it is the first day I am not having a fever, feeling better, and at the same time I am helping with VBS at my church. I will try to post something this week, wish me luck, I usually come back home super tired and am just recovering from whatever I got. God bless you all and thanks for stopping by. Anyway, I have a cute card for you today using Kazan's sketch 30 from 2 Sketches 4 You. For my card I used Prima flowers (Painterly Petals), the yummy Lemon Grass Ribbon is from Offray, the beautiful paper is from My Mind's Eye and the sentiment is from SU Vases in Vogue (retired). Card Stock: Kiwi Kiss, Pink Pirouette. Accessories: Mini glue dots, SU Dimensionals, Sewing machine, yellow thread, sponges. Color Challenge Something : Pink , Green & Yellow!! Hello again my friends my friends. I have another cute card for you today. This time is for Stamp Something Challenge. This week our challenge is a Color Challenge: Pink, Green & Yellow!! Cute summery colors and it is sponsored by Peachy Keen Stamps. Have you visited the store yet? Well, you should, they have super cute images!!! 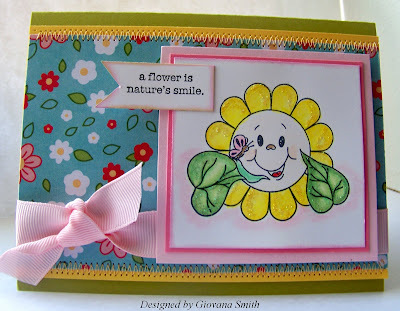 For my card I used one of the cute faces from Funny Flowers Set. I started my card with a piece of Kiwi Kiss as my card base. I sewed together a piece of Yellow CS and Critter Chatter PP. Then I added some yummy Pink Ribbon from PTI. I colored the image with Prismacolor Pencils and OMS, then I added some yellow glitter on the flower's petals and green glitter on the leaves. The sentiment is from SU Vases in Vogue (retired). Card stock: Kiwi kiss, Yellow, Pink Pirouette, Bright Pink, White. Stamps: Funny Flowers (Peachy Keen Stamps), SU Vases in Vogue. Accessories: Sewing machine, Yellow thread, SU Dimensionals, Prismacolor Pencils, OMS, Glitter (yellow & green). 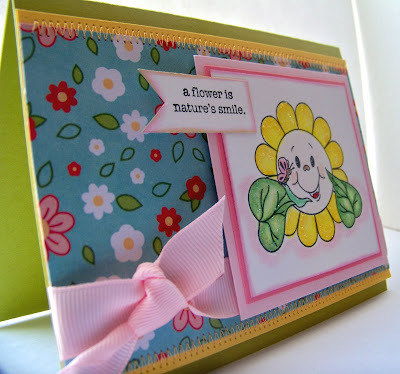 Now you have the chance to win a wonderful prize from Peachy Keen Stamps, HOW?? 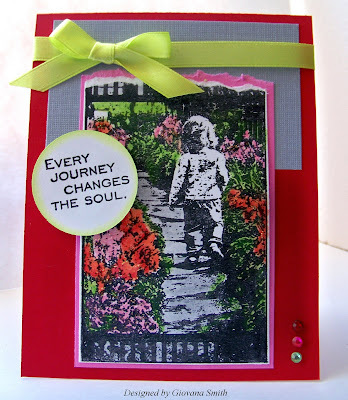 Head over to Stamp Something Blog Challenge and post your creation there using this week color challenge. I hope you can play along with us. Labels: MDC Store, Stamp Something Challenge. Hello my friends and Happy Friday. I hope you are having a great day. Today on MDC is a Sketch Challenge Day. 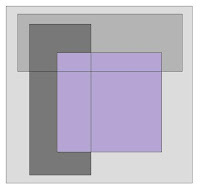 This week we are playing with Sketch #27 from 52 Sketches/52 Weeks. This sketch is originally for a scrapbook page, but I accommodated it to fit into my card design. I started my card with a piece of Kiwi Kiss as a card base. Then I add some Real Red and Bridgeport Tennis Court Paper from SEI, I distressed both. 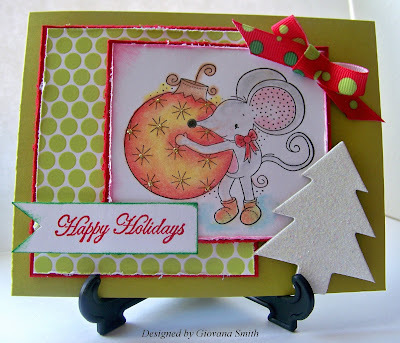 Then I stamped this cute Mouse from Stampavie, colored it with Prismacolor Pencils and OMS. I added some Gold Stickles on the Christmas Ball. 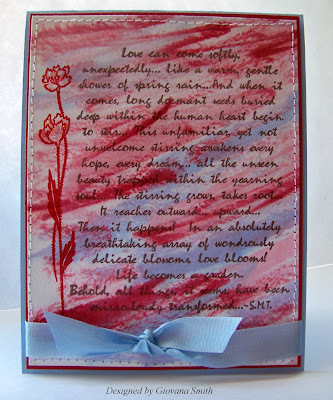 The sentiment is from Snowy Jo Collection -Imaginisce and was stamped on White CS using Real Red Ink. The borders were sponged using Green Ink. I also added some ribbon is from May Arts ON SALE NOW!!! and a cute glittery Christmas Tree at the bottom. Card Stock: Kiwi kiss, Real Red, White. 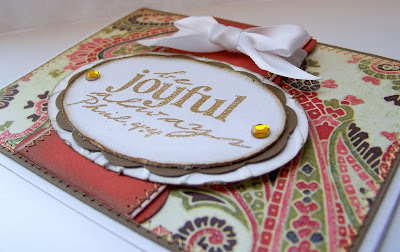 Embellishments: Ribbon (May Arts), Glittery Christmas Tree. Accessories: Mini glue dots, SU Dimensionals, Sponges, Prismacolor Pencils, Stickles, Sponges. 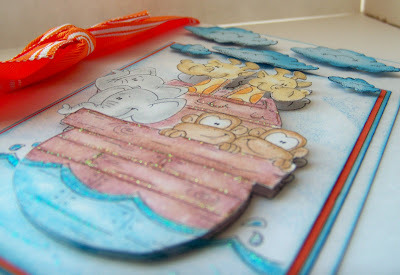 Now head over to MDC Challenge blog and enjoy the other DT members creations. I hope you can play along with us. Hello my friends, I hope you are having a great day. I am still working on projects in my free time. Summer I am always busy, DD wants to be outside or in the pool or picking flowers, so I have to manage time to create. Today I created 3 cards you will see in the following days, but today I made a 2 challenge card. Second is the sketch from Card Patterns. 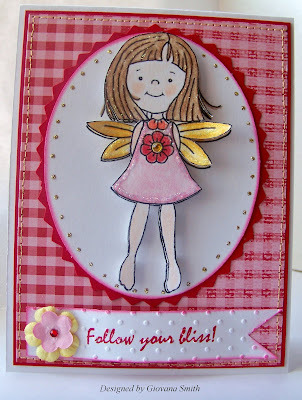 For my card I used the pretty butterfly from smARTworks Bliss set. 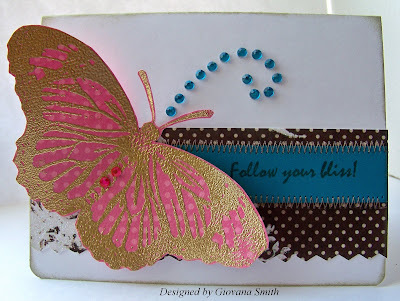 The butterfly was stamped in Dark Pink Core' Dinations CS and heat embossed using Gold Embossing powder, then I added a couple of bright Pink Rhinestones (Kaiser Crafts). The brown is from Out & About Collection ( My Mind's Eye), the stripe piece of CS is Taken with Tail (SU), the sentiment was stamped here using Basic Brown Ink. I added some Bright Blue rhinestones on my based card. Card stock: White, Taken with teal. Accessories: Gold Embossing powder, Embossing gun, Sewing machines, thread, Diamond Glaze. I am working on projects that I can't show you yet, but you will see them soon. Every Journey Changes the Soul. Hello my friends. Did you have a great 4th of July?? I did. We were invited to a Birthday Party and enjoyed the time there with our friends. Little Ivan turned 1!! and he was the happiest baby on earth. All the little kids enjoyed a day in the pool, it was perfect because we got 99F, yes, it was hot!!! The kids didn't want to get out of the pool and I wanted to jump there , LOL. Yesterday, I was so tired, we went to church, then some grocery shopping, ate lunch and a nap time. Can you believe I nap for almost 3 hours?!?!?! I am not a nap person, but my body was exhausted. I was planning to post this card yesterday, but I just wanted to enjoy my family and watch TV. 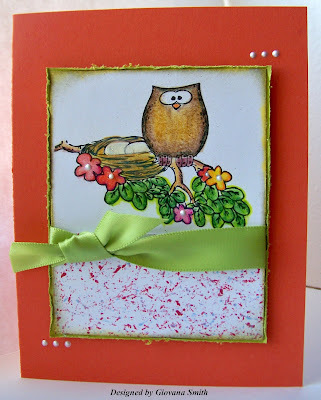 SO here is the card I made for 2 challenges: Sketch from Heather's Oz-somestamps Blog and Dawn's Raspberry Color challenge from My favorite things blog. 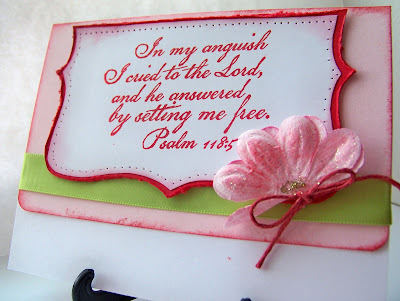 For my card I used Journey Set from smARTworks. The image was stamped in White CS and colored it whith Prismacolor Pencils and OMS. Everything else is pretty much self-explanatory. Card stock: Real Red, Gray, White, Pink Passion. Embellishments: Lime Green Ribbon (Target), Red, Pink and Green Rhinestones( Kaiser Crafts). Accessories: Cricut machine, SU Dimensionals, Mini glue dots, sponges. Leave a comment if you have a minute. Thanks!! Hello my friends, just a quick post to wish all of you a Happy 4th of July. I am not American, but I am so blessed to live in this country, the great family I have, all the wonderful friends I have met, my great bloggers!! 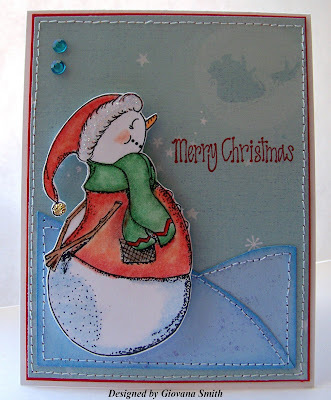 Hello again my friends, time for another challenge, this time from "Stamp Something Challenge: Christmas in July. 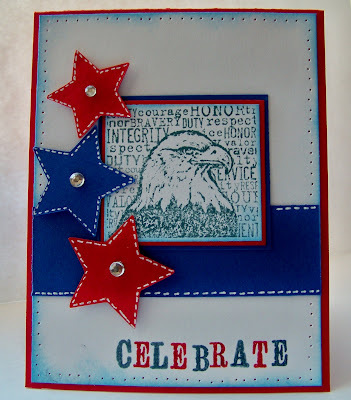 This week our challenge is sponsored by "FireCrakers Designs by Pamela. I got this cute image from Love Never Melts. I colored the snowman with Prismacolor Pencils and blended with OMS. Then I added some Stickles on the hat. I found this cute paper from K&Co, just perfect for the challenge, it looks like the Snowman is looking at Santa!! So cute. The sentiment is from DOTS' stamps. I added some stitches and rhinestones to decorate. Card Stock: White, real Red, Bashful Blue. Ink: Black, Real Red, Bashful Blue. 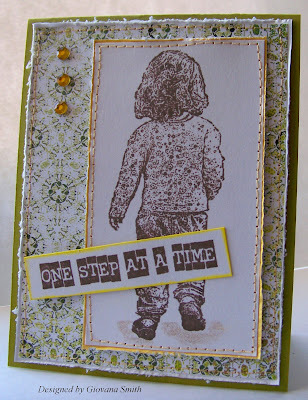 Now head over to Stamp Something Blog and enjoy the great creations from the DT. I hope you can play along with us and get the chance to win too!! Purple, Black + 2 colors!! Happy Friday my friends. I hope you are having a great day. Now, it's time for another Mother's & Daughters Creations Challenge "Purple, Black + 2 more colors" I created a cute and easy card and my 2 other colors are: White and Green. I started with a piece of White CS as my card base. I cut a piece of Bridgeport Garden Tour Paper (SEI) and sponged the border with Plum Ink. I cut a piece of Black CS (Core'Dinations), this CS is a double side color, I put his piece in my Cuttlebug and then sanded it. Super cool!! Then I stamped the bird using the other side of the PP, then cut it out. The branch is also part of the PP, just cut it out and positioned it there. 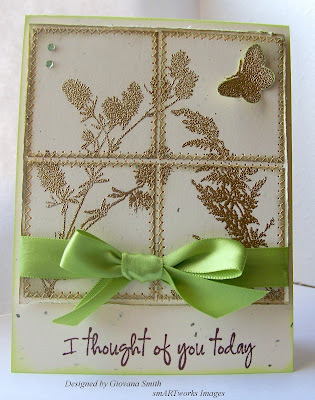 Finally I stamped the sentiment on the left bottom corner and added the ribbon. 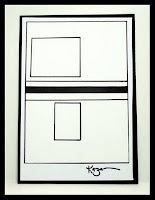 Card Stock: White, Black (Core'Dinations). Ink: Plum (Color Box), Stazon Black, Purple. Embellishments: Purple Grosgrain Ribbon (Offray). Accessories: Cuttlebug, Swiss Dots Folder, SU Dimensionals, Mini glue dots, Sand block, sponges. 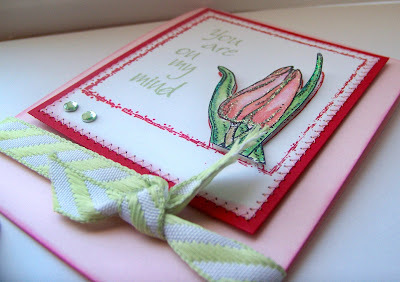 Now head over to the MDC Challenge Blog and enjoy the other DT creations. I hope you can play along with us too and the chance to win some yummy prizes too. Hello my friends. Are you enjoying your summer time?? Here is hot and hotter. This weekend we are gonna get high temperatures. Yikes!! I don't deal very well with the heat, anyway, my summer life is always busy, but I am managing time to stamp and try to update my blog as much as I can. I have a cute card to show you today. I used "Journey Set" from smARTworks. I stamped the image in Basic Brown as well as the sentiment. 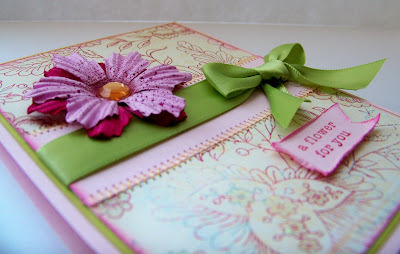 The card base is Kiwi Kiss and the the Patterned paper is Rhubarb Tart from Memory Box. I added 3 Gold Rhinestones. I used straight stitches and after that I distressed the borders. 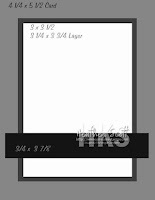 Card Stock: Kiwi Kiss, White. Accessories: Sewing machines, thread, SU Dimensionals. Hello my friends, it's time to reveal our creations for smARTworks Tea Party Challenge. Donelda challenged us to do the "Salted Background Technique", fun and unique technique, but not my best. I tried several times and the results were not good for me. I think this BG is the best of all the ones I tried. For this technique I followed the directions and the colors I used are Pretty in Pink, Bashful Blue and Riding Hood Red. I stamped the big Saying in Basic Brown and the flower in Riding Hood Red. I added some stitches and MS Ribbon. Card Stock: Bashful Blue, Riding Hood Red, White. Ink: Pretty in Pink, Riding Hood Red, Bashful Blue, Basic Brown. Accessories: Sewing machines, thread, Stamp-a-ma-jig, Mini glue dot. Now head over to Susan, Dina, Donna, Donelda and Trish and enjoy their creations. I hope you can play along with us! !